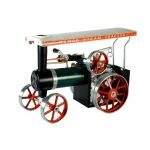 This beautiful model is the Mamod SP4 steam engine. You would expect an engine of any kind to not be too aesthetically pleasing, they are designed to be the power unit, not the focal unit everyone lusts after. However, second best is never good enough for Mamod and their live steam engine units always look and play the part. The SP4 resembles an old fashioned steam engine that would have typically been used in the past to run a range of things: pumps, mills, machinery and more. 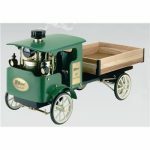 Stationary engines had no purpose without the other pieces of equipment and Mamod knows this very well. Never missing an opportunity to allow their models the ability to mimic the real world from times gone by, Mamod has created the SP4 steam engine with the opportunity to connect with other models. 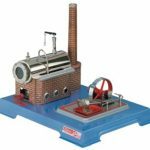 This live steam engine can be used to power pieces from the 1336 WS1 workshop and running them has never been easier. The SP4 is already assembled, so you don’t need to be an engineer to work out how to run this engine. Simply add water, light the fuel and the engine will work. This would be great to connect to other pieces – you could be running your own mini mill in no time. This engine is suitable for a huge range of people due to its versatility. If using alone to just appreciate the power unit, it’s a fantastic educational tool for little ones and adults alike. It is worth noting, however, that children under 14 years old should not be left unsupervised with this product. That’s nothing to worry about, though, because adults will have a great time teaching their children and grandchildren all about the times of the past! Your kids are going to come top of their history class with their new model. The unit is also a fantastic gift for hobbyists who already have units from the 1336 WS1 series. Once they acquire the Mamod SP4, they’ll be able to fit all the pieces together and they’ll help each other work! Even if the hobbyist in your life does not have any other Mamod models, this is most certainly still one to think about for them. It’s a given that engines of the past were only used to power other units, but Mamod have made that a thing of the past by creating an engine one can appreciate by itself and will look perfect amongst any model collector’s pieces. 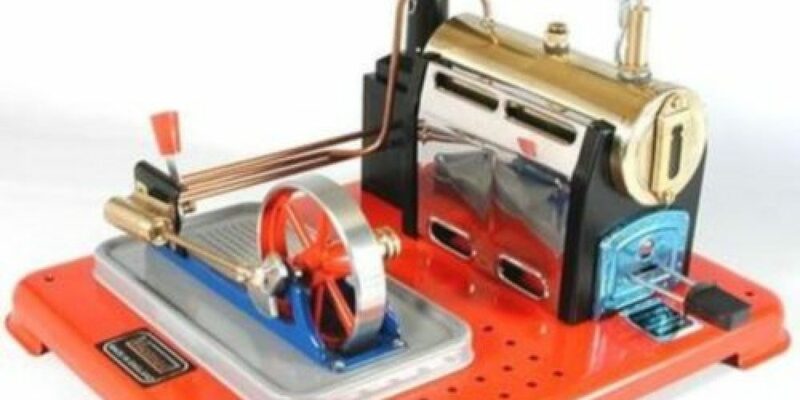 If you’ve already got a collection of live models, but not a stationary engine, the SP4 should most certainly be at the top of your list!